Lotte World Koreais the kind of Disney Land in the Korea. Lotte World has the indoor playroom and the outdoor playroom. 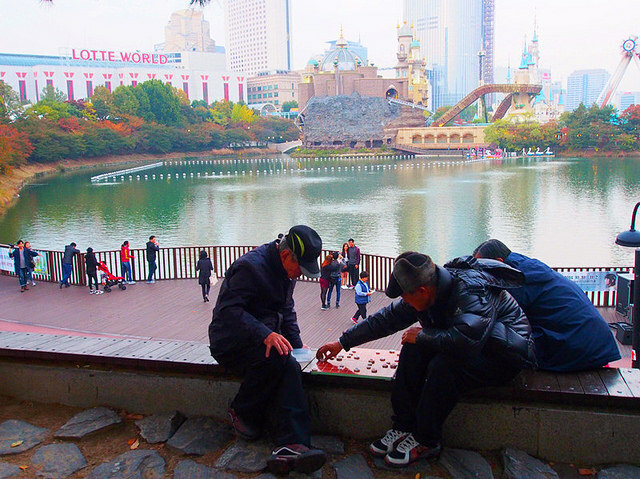 The outdoor theme is “Magic Island”, located in the artificial island in the middle of Seokchonhosu Lake. 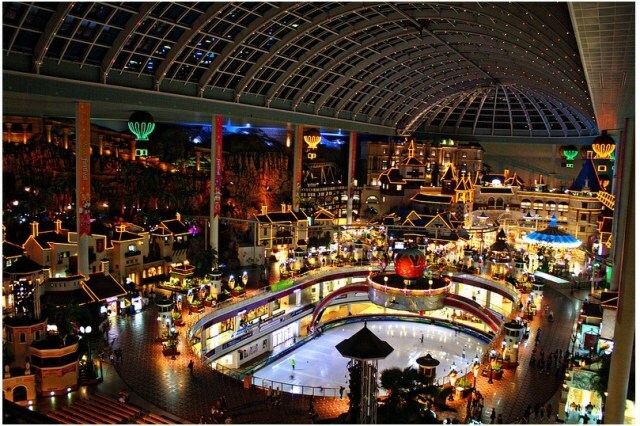 The indoor playroom, “Adventure”, becomes the largest playroom in the world (based on the Guinness World Record). Because of that, Lotte World is not affected by weather. If the weather is raining, the outdoor part may be closed, but the indoor still opened for us. Lotte World Korea Entrance Feeday-pass tickets are: for the adult is 42.000 won, for the young adult is 42.000 won, and for the child is 38.000 won. This ticket is a continuation ticket, you can play all the rides in the Lotte World Korea. Besides that, you will get free museum entrance before 7 PM. The tickets are not cheap, but this park gives you the fun rides that you can try. 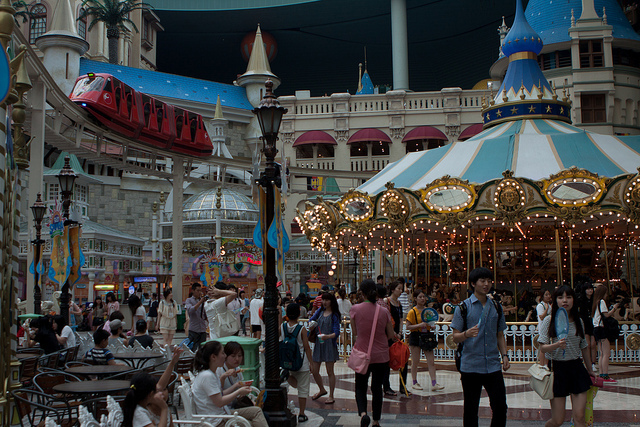 Lotte World Koreahas operating hours 9.30 AM – 10.00 PM. They also have nighttime operating hours from 4.00 PM, the closing time can be different each day. They have 5.400 parking spaces. The parking is free for the first 3 hours (for admission ticket) and free for the day (for a one day pass). They have a baby stroller rental to bring your baby, the rental fee is 3.000 won. Lotte World Korea Rides are flying balloons, a Viking ride, flume ride, Camelot carrousel (popular for dating couples), giant loop, etc.. There are so many thrill rides that you can try such as Gyro Drop. So, do you want to feel the fun in this amusement park? If you want to get there, you can use Metro, Subway Seoul line 2 or 8 to Jamsil, Exit 4. The Lotte World directly connected to the station. 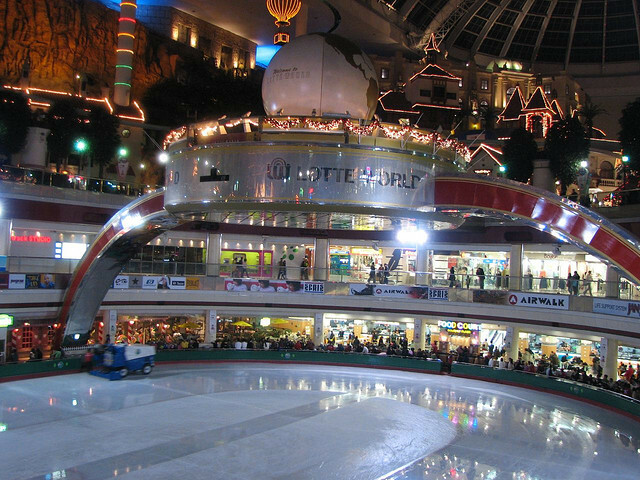 Go there and enjoy the Lotte World Korea.